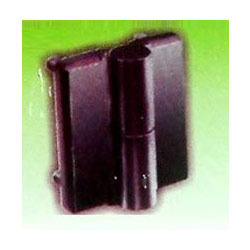 In order to meet the different necessities of the clientele, we offer an extensive series of Zinc Die Casting Hinges L And R Type. These products are made by adroit vendors, who have prosperous expertise of this industry. Owing to high demand, vendors make this product in diverse specifications. These products are enormously known in the market for their longer service life and low maintenance. Note:We deals only in Generator accessories. Founded in 2006, "ALKA Industries", is one of the well-known firms, extremely indulged in manufacturing, supplying and trading a board series of Industrial Products, silent Generator Parts & Sound proof Acoustic parts & accesories . These products are manufactured by employing the advanced technique and optimum quality basic material which is procured from trustworthy dealers of market. In addition, with the help of our knowledgeable vendors, we present these products in varied specifications in order to meet the variegated necessities of our esteemed patrons. Our vendors have enormous experiences and detailed knowledge of their respective fields. Our customers can buy these products from us as per their necessities and necessities within particular time-frame. These products are enormously well-liked by our patrons for their longer life, sturdy structure, top performance, water and rust resistance and inexpensive prices. Our vendors have advanced infrastructural unit that aids us to meet the varied requirements of clients.